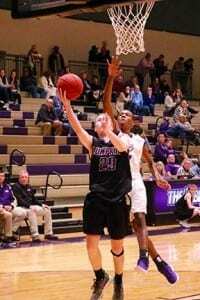 Friday night had the Indians and Lady Indians travel to play the Bears at Cherokee Bluff High School in Flowery Branch. The Bluff maybe a new school but definitely have some good athletes and coaching. At the end of the night, the girls and boys would split victories. The first to tip-off was the Lady Indians against a fast Bears team. The Game started out slow between the two teams with the Lady Bears holding a slim 8-4 lead over the Lady Indians. 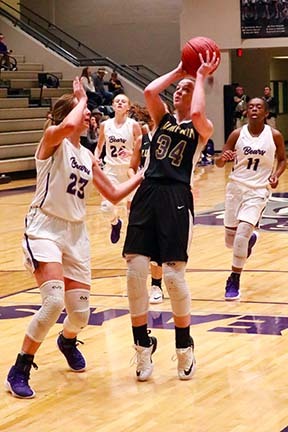 With the start of the 2nd, the Lumpkin Ladies started to find a rhythm from the perimeter with five 3-pointers including two from #14 Claire White to carry a tie heading into the locker room at the half. The third period was almost a carbon copy of the previous period with the long-range shooting of the Lady Indians. 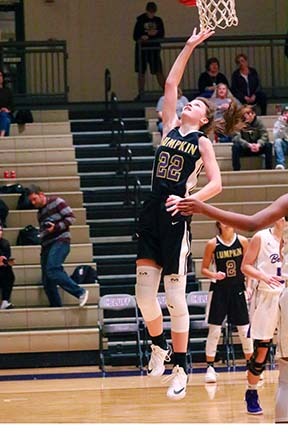 #23 Ashlynn Wistoski added her name to the 3-point list with two and helped push the lead to 30-26 as the final period was 1 minute away. 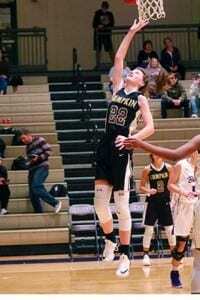 In the final period of the game, the Lady Bears were caught on their heels as Lumpkin came out on fire. Having the best period of play I have seen this year was MacKenzie Pulley, #22 had 15 points to seal a huge victory and keep moving forward in a great season. 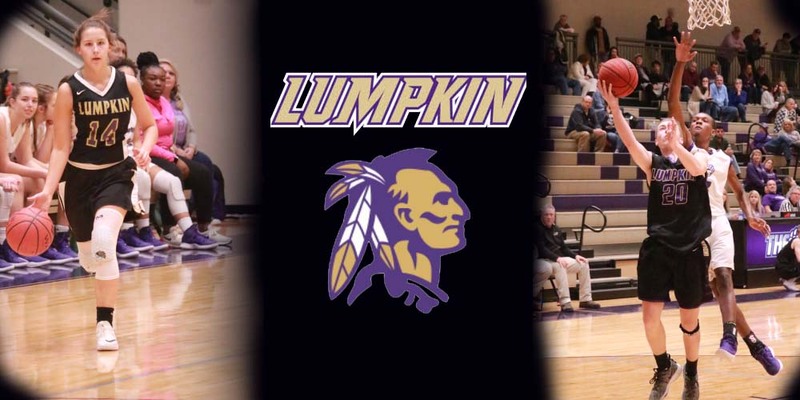 The 55-32 win for the Lumpkin Lady Indians has them sitting at 14-4 overall with a tough region schedule still to come. Leading the scoring on the night was Davenport with 14 points and Pulley with 20 points. The Varsity boys took the court to face off against a big Bears team in the nightcap. The Indians came out short on the night as the Bears held the lead from start to finish. 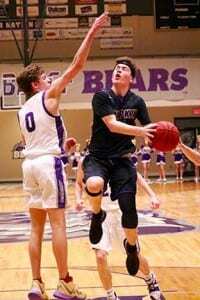 Coach Steele’s team left everything they had on the floor but wasn’t able to match the size and speed of Cherokee Bluff. The Indians trailed after one period by 17 and 19 at the half. As the second half began, the team lost focus after some sideline distractions. The Bears were too much for the Indians to handle in the third as they scored at will to put up 27 huge points to put the contest out of reach for Lumpkin. The Indians could not get anything going in the final period as they were outscored 21-4 as the clock buzzer sound. The 95-44 loss to the Bears is disheartening but Coach Jeff Steele and his team will regroup and be focused on their next opponent.